Sources, left to right, top to bottom: Sous sous, Tundra, Assemblage cuff, Grey honeycomb sweater, Millwater, I Heart Aran, Gorgeous stack 'o knits, My version of Oshima!, Cordova. My favourite and most useful board on Pinterest is definitely my "Knitsperation" board. I'll pin anything and everything there as long as it could someday inspire a knit. 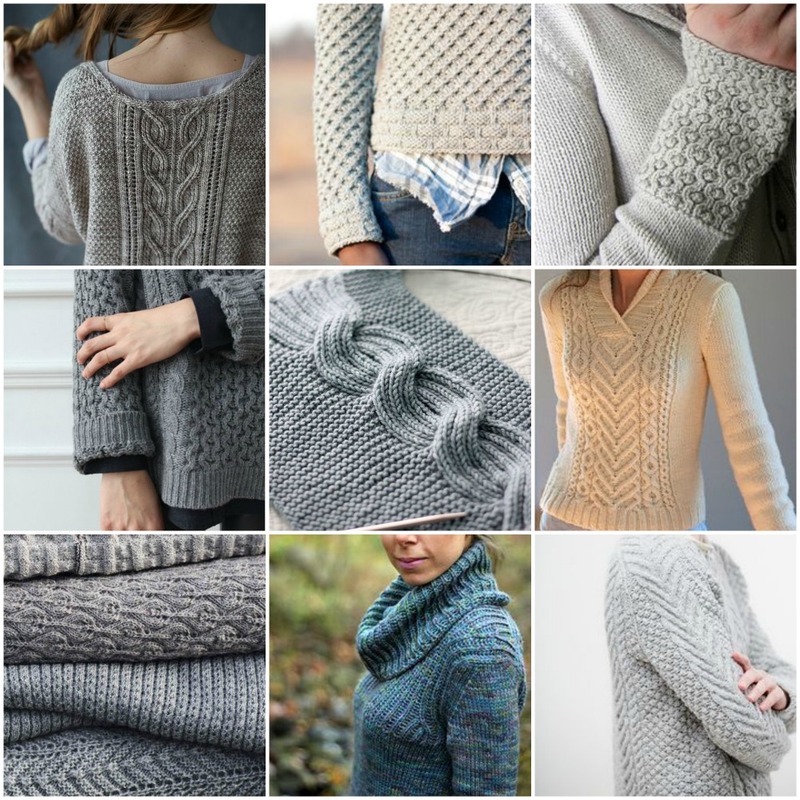 At first I thought that I should break it down into further categories, one for colour work, one for cables… but I like having this big mash up of all kinds of gorgeous knits that I like. I browse through it when I need some inspiration and more often then not I discover that I'm in some sort of a "mood". This week I am very much in a highly textured, neutral colour mood. Funny, right off the heels of my super colourful and stockinette-stitch-full Lifesavers Cardigan launch (more kits coming soon I promise!) I'm craving the total opposite. I'm due to cast on for something new, now that I know what mood I'm in, it's time to start planning!